At Windsor Dental Group, we offer a comprehensive range of family dentistry services that allow patients to preserve the overall health of the mouth. These services and treatments focus not only on a patient’s teeth, but also the gums and other soft tissues of the mouth. It is vital that patients maintain healthy gums, as these serve as the foundation for the teeth. If the health of the gums becomes compromised, the health of the teeth will be impacted as well. Gum disease is one of the leading causes of adult tooth loss. Here, we discuss how gum disease and tooth loss are related, and what our Windsor, CA patients can do to prevent this dental problem. As inflammation becomes a problem, gum tissue will begin to pull away from the base of the teeth. This recession creates pockets that allow more bacteria to build up on the teeth and gums. As gum recession worsens, the teeth are left without a strong foundation, and the risk of tooth loss increases. Fortunately, patients can prevent tooth loss if they seek treatment in a timely manner. Gum disease treatment is vital to the prevention of tooth loss. 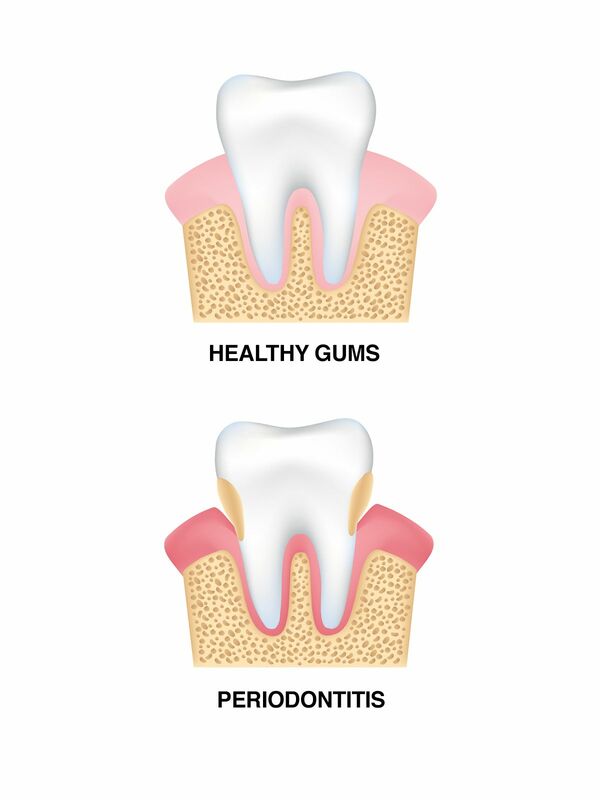 Our dentists offer treatments for all stages of gum disease. While there are more intensive treatments available, such as oral surgery, we most commonly begin with conservative treatment. A deep cleaning technique known as root planing and scaling is usually sufficient to treat minor to advanced stages of gum disease. This cleaning eliminates bacteria, plaque, and tartar that have built up beneath the gum line. Additionally, during this procedure, the roots of the teeth are filed down to remove rough patches. This makes it more difficult for bacteria to stick to the teeth in the future. If this treatment successfully eliminates infection, new, healthy gum tissues will grow. As the health of the gums is restored, the tissues will gradually rebuild around the base of the teeth, providing the support that is necessary to prevent tooth loss. Gum disease threatens the health of the gums and the structure of the smile. If you are concerned that you may be experiencing symptoms of gum disease and you would like to learn more about your treatment options, contact us at your earliest convenience.